If you suffer from temporomandibular joint disorder or sleep apnea, a custom mouth guard can preserve the health and longevity of your smile. This device can also protect your teeth from a sport-related injury. As part of our general dentistry services at our Brooklyn Heights, NY, office, we craft oral appliances that are more comfortable, durable, and cost-effective than over-the-counter products. Our doctors use only the most advanced, flexible materials to deliver mouth guards that look and feel great for years to come. When Are Mouth Guards Used? 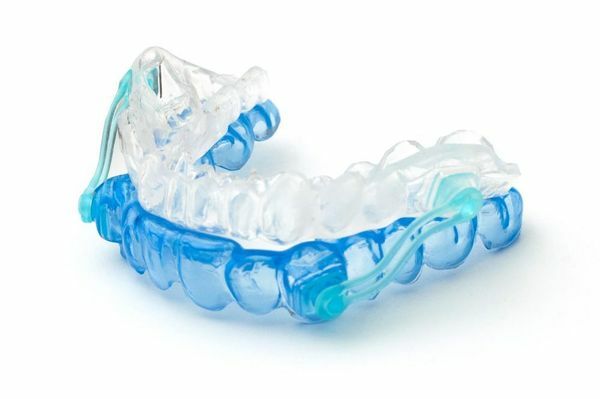 Mouth guards can be used to address a variety of conditions, including temporomandibular joint disorder (TMD), sleep apnea, and bruxism (teeth grinding and jaw clenching). Each device is custom-crafted and designed to fit comfortably and securely over your teeth. TMD develops when the temporomandibular joints become inflamed. This condition can be caused by bruxism, which places undue stress on the joints. If you suffer from TMD, we can design a splint that creates a barrier between your upper and lower teeth. This effectively reduces pressure on your joints and prevents dental erosion. A splint can keep your jaws in proper alignment and reduce the side effects of sleep apnea. Obstructive sleep apnea is characterized by constant disruptions throughout the night and loud snoring. This condition results when the muscles in the back of your throat relax and block your airway. Without a constant flow of oxygen, your body will force you out of sleep to breathe. An oral appliance gently pushes the lower jaw down and forward, opening your airways and increasing the flow of oxygen to your lungs. Sleeping soundly can improve your mood, health, and overall quality of life. Each device is custom-crafted and designed to fit comfortably and securely over your teeth. Children and adults who play contact sports should take every precaution to protect their smile from injury. High-impact sports can damage your teeth, gums, and jaw and require expensive and complex restorative work. Fortunately, mouth guards can lower the risk of broken teeth and injury. These devices can also protect orthodontic equipment and reduce the need for frequent dental visits to repair broken brackets or wires. While over-the-counter mouth guards are readily available, custom appliances are a more worthwhile investment. These devices provide the very best protection and last longer than store-bought products. To fabricate a mouth guard, we must first take impressions of your smile. We use an iTero® scanner to create digital impressions, which will be sent to a dental laboratory and used for fabrication. Digital impressions are more comfortable than traditional impressions and do not require the use of putty. When your device is ready, you can return to our office for placement. We can check the fit of the appliance to ensure it does not disrupt your bite. Should no modifications be needed, we can review the best ways to care for your mouth guard. A custom mouth guard can correct existing oral health concerns and protect your smile from future damage. To find out how you can benefit from an oral appliance, we encourage you to call our office at (347) 492-1018 or contact us online.